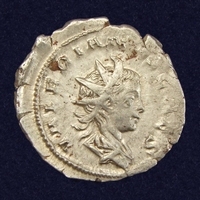 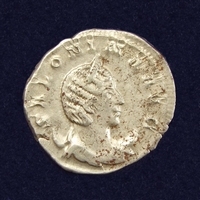 Salonina, wife of Gallienus. 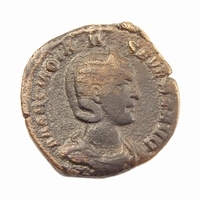 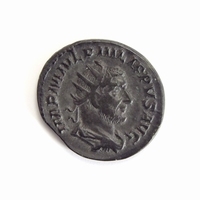 Augusta, 254-268 AD. 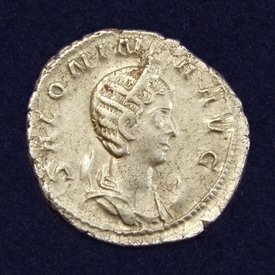 Obverse: Diademed, draped bust right, crescent at shoulders. 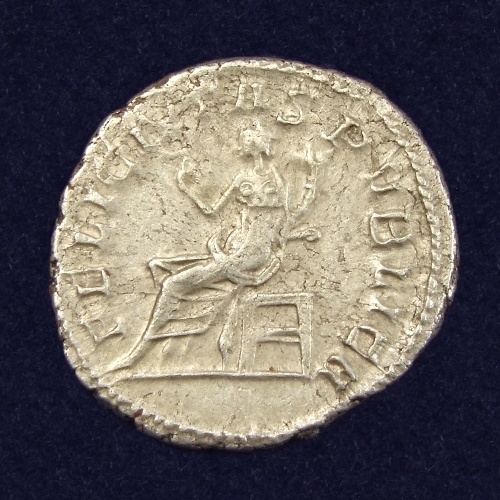 Reverse: Felicitas seated left, holding caduceus and cornucopiae.